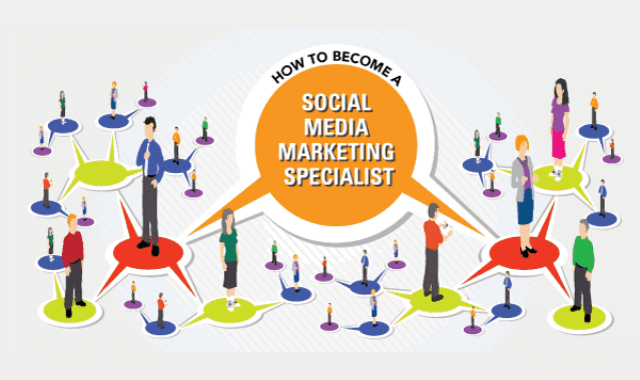 How To Become a Social Media Marketing Specialist #Infographic ~ Visualistan '+g+"
Social media is becoming ubiquitous. Facebook, Twitter, Instagram, LinkedIn, Pinterest, Reddit: Believe it or not, the majority of Americans uses at least one of these sites. In fact, according to Pew Research's Internet Project, 73 percent of adults 18 and over use social networking sites. Given that opportunity, businesses everywhere are trying to reach new customers through this medium, and the job options for social media marketing specialists are growing. If you live and breathe social media and think you can help businesses effectively reach these people, this is a career path you might want to consider. Take a look!